Comments: Nice room and property, great location. Platinum amenity was breakfast buffet for two. Comments: Suites, Junior suites and Eiffel Tower view rooms were available at time of check-in on spg.com. Did not ask for an upgrade because Mrs Yul_voyager arrived one hour earlier and made the check-in. Comments: Comments: This will probably end up being the best upgrade I ever receive. My wife and I were celebrating a special occasion in Paris and this was an amazing, unexpected treat. The room was roughly the size of the Jr. Suite but had huge bathroom and three small balconies with incredible views of Paris. Without a doubt, the best hotel stay I’ve ever had. Comments: View was of the courtyard looking at other rooms…horrible! We went for our 5 year anniversary and was expecting at least a view of the eiffel tower from a standard room. Other than not being upgraded, the stay was awesome. 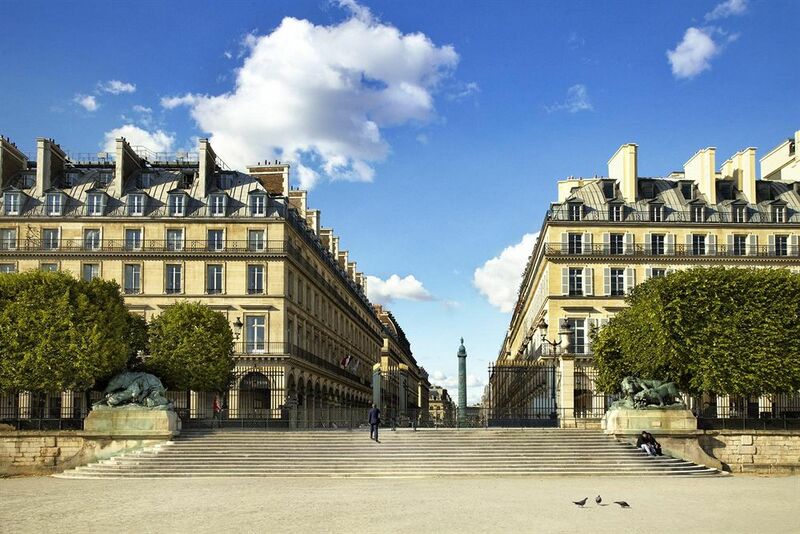 The Westin Vendome is the perfect location for sightseeing. We also we offered complimentary buffet every morning which was delicious! Crapes just taste so much better in France. I’m a SPG75 member and rarely get upgraded… I book most of my hotels from the SPG app. My buddy always gets upgraded and he uses the platinum phone number…that really doesn’t make any sense to me but has anyone noticed if you use the platinum line they would get more pull getting an upgrade?? Just curious. Thanks! Comments: Used the last of last year’s SNAs it appeared to clear before expiration so I used it after April 1 (hmmm). Got the lowest level suite that I had applied for via SNA, a normal sized room with a view of the tower that is indeed quite lovely. Plat breakfast buffet is fine but the room is a bit dark and they sort of hurry you through (snatching up empty glasses from under your nose). Eiffel Tower Suite (the small one).